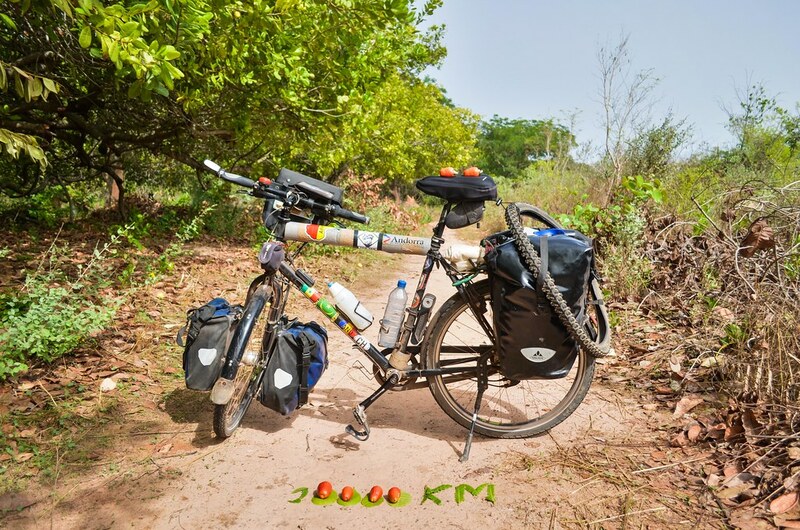 Ten thousand kilometers reached on my first day cycling in Guinea-Bissau! I celebrated it eating the fruits of the photo. Cashew fruits are not really supposed to be eaten, but they are everywhere and full of juice. The small country, as big as Switzerland, is the biggest producer of cashew nuts in Africa. They’re probyble cheaper here than everywhere else, but the process between the picking and the selling being rather long and complicated, a big handful of them is still worth a plate of fish and rice (0.75 €). Amazing achievement! How are you and the bike holding up?